the lag in android comes from Java & Virtual Machine. it's unavoidable, unfortunately, unless google make huge fundamental change on next Android OS. as for me, no OS is perfect. I love old symbian s60, but now Android is the most widespread use, so I use it now, with effort to minimize lag as far as I can. I still can't help feeling like they should have equipped the camera hump with a touch-strip going, so you could control camera parameters while holding it like a camera. AnonD-26875, 12 Jul 2013This camera galaxy s4 lte-a screen & hardware htc one design that would be the ultimate sm... moreHTC one loks nice but comparing to my L920 apart of its weight(does not bother me at all) Lumia is much more 'ergonomic' device. Easier to hold and operate. To me looks better too. I have been using android and don't miss much using WP8 really. This is the first phone after the N8 i really like and would love to have. Unfortunately after the N8 i reverted to Android which i am really satisfied with at the moment. But this phone oh well it looks really promising... so who knows i might give it a shot after all since i tried WP and its really smooth OS. Anonymous, 12 Jul 2013What the glitch. I read most of the comments and found that This device would have run Android... moreyou first grab an android phone, use it and u will understand why most people prefer android over wp. If Nokia give version with Android, I buy it. 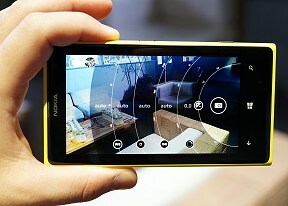 is nokia now handphone or camera maker? so confusing!! if nokia wants to grab back their past succes, drop WP and change to android. Making good phone is key success, not by making good camera, unless Nokia wants to compete with Canon or Nikon. Black Xero, 11 Jul 2013Every body blaming Microsoft and their WP, I ask that which OS on desktop do you peopkle use..... moreSo go ahead and connect a dslr to your desktop and special army bag to carry aroud but this is smartphone and king of smartphone os is android. 3 years old tech because of operating system limitations... Nokia and Microsoft recipe for a big failure. No one will touch except for clueless users and fanboys.